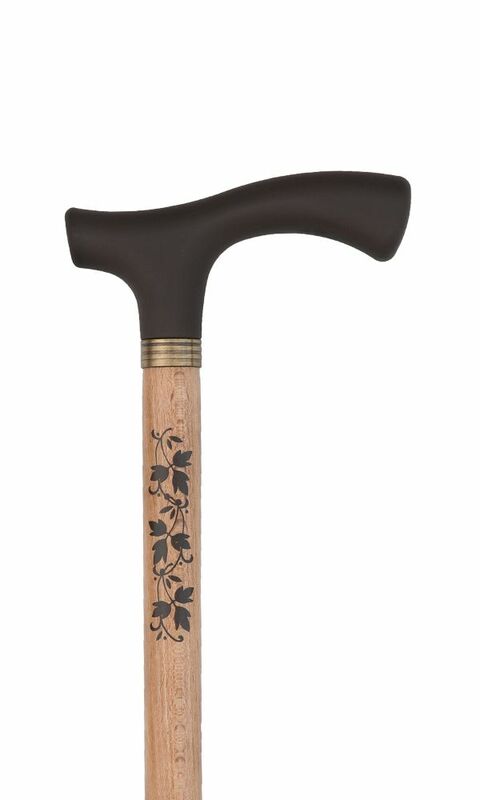 Brown soft touch crutch handle with a leaf design on a beech wood shaft. Rubber ferrule included. Height 91cm or 36".